Over the weekend, President Obama announced plans to take executive action on gun policy, and met with Attorney General Loretta Lynch to explore the authorities he might have at his disposal. One such action involves extending background checks to so-called "private sales," which was a key provision of the legislation that Republicans filibustered in the wake of the Newtown massacre. 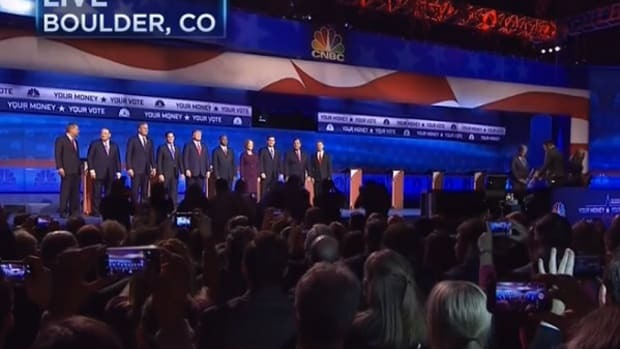 The move has quickly sparked a trend among Republican presidential candidates, who apparently a. agree with Obama on at least one policy but b. just don&apos;t think he should be doing executive actions, and c. pairing these points with poorly-coded racism. On Monday morning&apos;s New Day, Donald Trump appeared to agree with President Obama on the need to close the gun show loophole, while deriding the President for taking executive action, and throwing in the old lazy stereotype for good measure. Cuomo: When you go to one of the shows, there&apos;s a lot of private-to-private sellers as opposed to someone who is a dealer. They get to transfer arms in a way you wouldn&apos;t be able to otherwise. He&apos;s saying make it uniform, same background check that applies when you go to the gun shop should apply when they go to the gun show. Trump: I want see what he says, why he couldn&apos;t get this approved by Congress. Why can&apos;t he go in and get this approved? You do have to ask that question, Chris. Why can&apos;t you, if something is seemingly cut and dry as you like to say it is, why can&apos;t the system work the way it was supposed to be, you know, the way it was supposed to be working, the way it was designed. 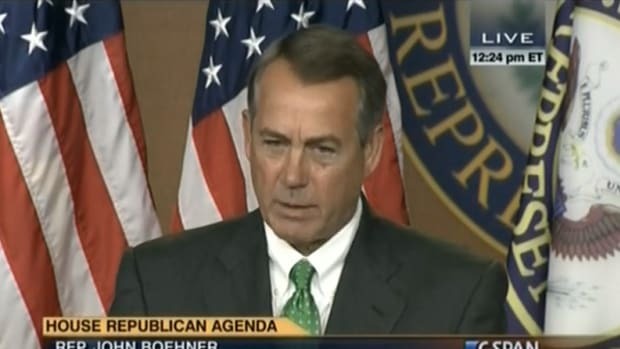 Why isn&apos;t he getting Republicans and Democrats together and doing something? He keeps signing executive orders because he doesn&apos;t meet with people. Maybe he doesn&apos;t like people, I guess. I&apos;m sure maybe they could come up with some kind of a plan. Don&apos;t you think he should do this with Congress? I don&apos;t think he works very hard at it. Trump expanded on that racist dig as the interview progressed by stressing how Obama just "doesn&apos;t want to work hard" to pass gun legislation, and would rather be playing golf. Perhaps Trump is unaware of the painstaking compromise background check legislation that President Obama worked hard on in 2013, which was voted "yes" on by a clear majority of U.S. Senators, but which was filibustered by Republicans and four Democrats. President Obama did exactly what Trump says he didn&apos;t.
Wallace: President Obama is expected to announce executive action on new gun controls this week to expand background checks, and also to bar more accused domestic abusers from being able to buy guns. Your reaction to that? 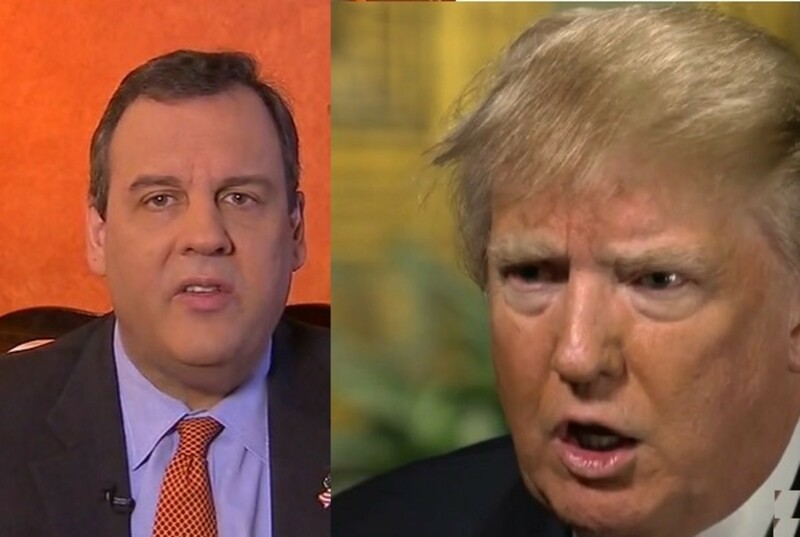 Christie: This President is a petulant child. Whenever he can&apos;t get what he wants, because frankly, the American people have rejected his agenda by turning over the House and the Senate to Republicans, going from 21 Republican governors when he came into office, now 31, now he wants to act as a king. The fact is if he wants to make changes to these laws, go to congress and convince congress they&apos;re necessary, but this is going to be another illegal executive action which I&apos;m sure will be rejected by the courts. When I become president, they will be stricken from executive action by executive action I will take. 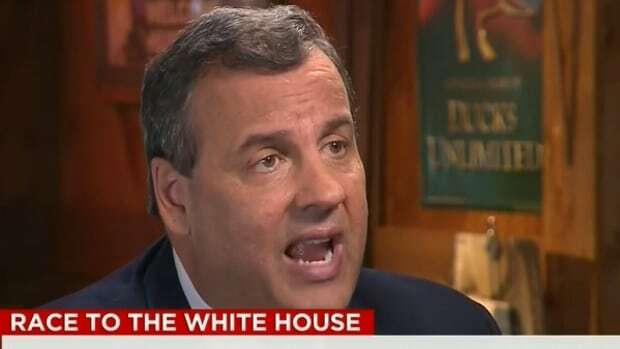 Keep in mind, Christie has no idea what actions Obama will take, let alone their potential legality. 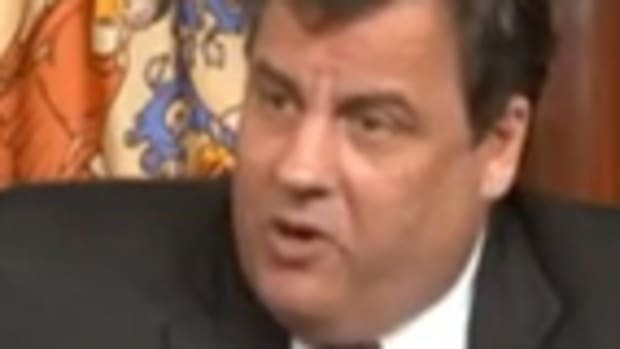 Speaking of petulance, Christie went on to say that he actually supports the restriction on guns to terror watch suspects, he just apparently wants Obama to wait for hell to freeze over to do anything about it. Leadership! Coincidentally, another Republican candidate appeared with Wallace to agree with Obama on the policy, in this case keeping guns away from accused domestic abusers, but was equally sure that the executive actions he hasn&apos;t seen would definitely be illegal. 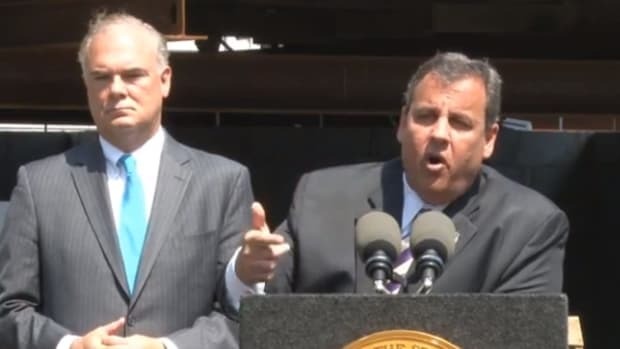 WALLACE: Let&apos;s start where we left off with Chris Christie. Your thoughts about President Obama&apos;s planned executive actions on gun control. BUSH: Well, I haven&apos;t seen them, but his first impulse is always to take rights away from law-abiding citizens, and it’s wrong. And to use executive powers he doesn’t have is a pattern that&apos; is quite dangerous. It&apos;s not a surprise that people don&apos;t believe that our government is working on their behalf any more when you have a president that recklessly uses executive authority that the Constitution doesn’t provide him. A better approach would be the approach that I had when I was governor of the state Florida, where we focused on punishing people that committed crimes with guns, but we enhanced and protected the Second Amendment rights for law-abiding citizens. WALLACE: But, Governor, let’s talk about a couple of these specific ideas that it seems from all the reporting that President Obama is likely to propose as early as this week. Expand the number of gun sellers who have to conduct background checks. Expand the number of accused domestic abusers who are barred from buys guns. Governor, what&apos;s wrong with those specific ideas? BUSH: Well, because you don&apos;t know the details, but the so-called gun show loophole which I think what he’s talking about doesn&apos;t exist. People that want to sell random -- you know, occasionally sell guns ought to have the right to do so without being impaired by the federal government. If states want to create specific rules around that kind of behavior -- fine. As it relates to domestic violence, the state of Florida when I was governor did exactly what he&apos;s suggesting, but this top-down driven approach doesn&apos;t create freedom, doesn&apos;t create safety, doesn&apos;t create security. And that&apos;s what we ought to be focused on. BUSH: No, because he can&apos;t do it by executive order, Chris. WALLACE: I understand you don&apos;t like the process. BUSH: I went to the legislature. I got it passed and I signed into law, and it was a good law and people are safer because of it. BUSH: How do you know? WALLACE: -- if somebody sells a few guns and wants to sell a gun to somebody, who does it hurt for the seller -- or rather the buyer to go through a background check? 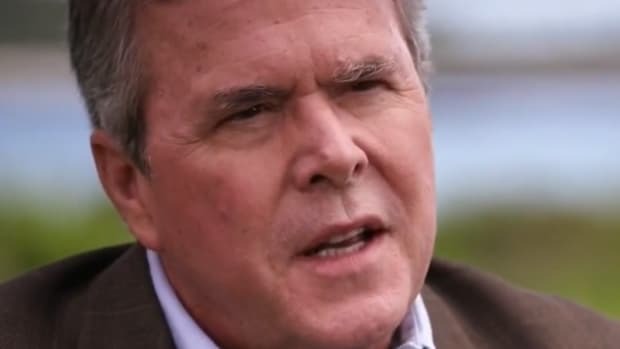 BUSH: If it&apos;s just an occasional question where you&apos;re getting federal license from a person who’s going to sell one or two guns, I think that&apos;s completely inappropriate. 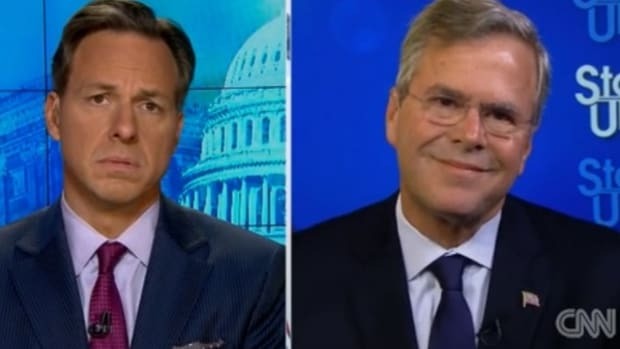 We’re a bottom up country, we’re not a top-down country..
Bush at least decided to forego the racism, but then again, that could explain why he&apos;s going nowhere while Christie is catching major buzz and a polling surge in New Hampshire. 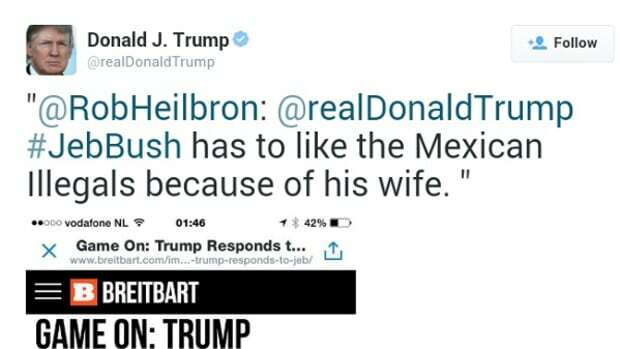 Jeb needs to learn how to offend black people during an active news cycle.